The City of Clearwater, FL, located in Pinellas County, is the smallest principal city of the Tampa Bay Area with a population of 107,000 people (per the 2010 census). Its alluring sunny weather, pristine landscapes, and Old Florida charm make this quaint city a standout destination among vacationers and residents alike. Retreat from the mundane and join your family and friends where it’s indeed bright and beautiful for all the fun and excitement Clearwater has to offer, from dining and shopping, to cultural festivals and musical entertainment. Clearwater’s genesis can be traced to the early 1500s, when clear springs, which have since disappeared, bubbled in the high bluffs where present-day downtown and City Hall are located. While much of the region was home to the native Tocobaga people, several exploration attempts by the Spanish to chart the Clearwater territory—then Clear Water Harbor—spanned the next century: Pánfilo de Narváez (1528), Hernando De Soto (1539), and Pedro Menéndez de Avilés (1567). By the 1800s, Florida was hotly contested. General Andrew Jackson’s incursions into the peninsula forced Spain to cede the territory to the United States; however, the United States Army remained in combat with the Seminoles. In 1842, Congress passed the Armed Occupation Act, which aimed to prevent further conflict with the Native Americans and encouraged heads of household, or single males over the age of 18, to populate the area. The law was restricted only to those who were able to bear arms. James Stevens, the “father of Clearwater,” was among the first settlers. Clearwater enjoyed a steady growth throughout much of the later nineteenth century. Henry Plant, a renowned developer of his time, constructed a railroad through Pinellas County and boosted his business by adding several resort hotels to the area, including the Belleview Biltmore in 1897. The residents of Clearwater, in conjunction with Largo and St. Petersburg, petitioned for independence from Western Hillsborough County as populations grew, and on January 1, 1912, the Florida Legislature created Pinellas County. The City of Clearwater was incorporated in 1915. Today, the city enjoys a progressive spirit that fosters economic activity and social and environmental consciousness. Residents and visitors can enjoy a relaxing visit to Clearwater’s revitalized downtown, home to nightly festivals, crafts, and street performers. Have a penchant for music? Sway to the local vibes that accompany Clearwater’s nightlife, attend a concert, or mark your calendar for the city’s annual Jazz Holiday. Need to reconnect with nature? Be sure to visit Moccasin Lake Nature Park, a 51-acre nature preserve with a 5-acre lake. Don’t miss out on Clearwater’s beautiful white beaches with shallow, clear water, or head to one of the city’s pools: Ross Norton, North Greenwood, Morningside, Longcenter, and Clearwater Beach. Set aside an afternoon to visit the Clearwater Marine Aquarium, home of the bottlenose dolphin Winter—star of the movie Dolphin Tale. Take in Clearwater’s beautiful sunset at Pier 60, or head over to the Clearwater Harbor and Marina. Did you know… Kirstie Alley, Hulk Hogan, Evel Knievel, and Jim Morrison all have ties to Clearwater? Need to get around? Hop on the Pinellas Suncoast Transit Authority (PSTA) bus service, or take advantage of the Tampa International Airport. In recent years, efforts to redevelop Clearwater have produced significant sections of the city’s historic downtown, including the Cleveland Street District, which experiences heavy foot traffic. Additionally, the city houses several major road systems, including US Route 19 that carries approximately 100,000 vehicles per day. For the safety and security of Clearwater’s guests and residents, it is imperative to observe local road laws and prioritize safety in all outdoor excursions. 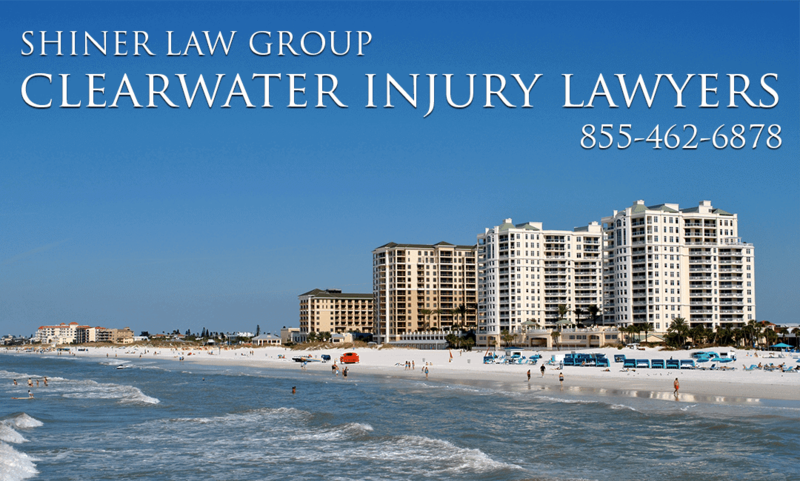 The personal injury attorneys at the Shiner Law Group urge residents and visitors to exercise caution when enjoying Clearwater’s offerings. Accidents on commercial or public property can lead to debilitating and sometimes fatal injuries, all of which can lead to extensive medical treatment and rehabilitation. Don’t let your experience in one of Florida’s most beautiful cities be ruined by the ongoing stress of an insurance claim. Let us focus on the legal complexities so you can focus on recovery. Have you or someone you love been injured because of the negligent, reckless, or intentional conduct of another? Call us at (855) 462-6878 or contact us online for a free case review. 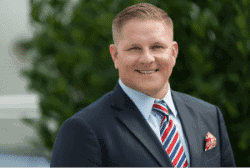 The Shiner Law Group represents personal injury and wrongful death victims in Clearwater and the surrounding cities.